Marianne Faurer of Snowmass Village shopped early on opening day at the Clark's Market in Snowmass Village. Faurer's early impression of the store was positive, based upon the variety of organic and artisan products. SNOWMASS VILLAGE – Remodeled to the tune of about $2 million, shoppers at the new Clark’s Market in Snowmass Village will find a range of artisan products, an on-site butcher and freshly made doughnuts, a vestige of the former Village Market that locals insisted be returned. Other than a pair of double doors leading from the produce department to the back room, everything else in the store is brand spanking new, said Tom Clark Jr. The 14,000-foot store that Clark said will be the family-owned chain’s ‘flagship” operation, opened to the public on Saturday morning. The Village has been without a full-service grocer since the end of ski season and some speculated that shopping habits would be hard to reverse. Time will tell but for local Cindy LaMar, who’s been stocking up on baby formula for a grandchild, the days of driving to the El Jebel City Market are over. “I never want to drive downvalley to shop again. This store is like Disneyland in Snowmass,” she said. Teresa Kelly, one of about a half-dozen former Village Market employees who are providing continuity between the past and present, said she was surprised by the overwhelmingly positive response to the new store. “Everybody’s ready for the grocery store, They want to have a piece of their village back,” said Kelly. In true small town fashion, the market and post office in the Snowmass Center remain the primary gathering place for residents to catch up on news and gossip. “I feel like we have our community back,” LaMar said. Even Greg Rulon, who was the first to publicly criticize Related Colorado’s decision to replace the Village Market — which had been a mainstay here for nearly 35 years — with Clark’s, was feeling positive about the new store. “The Buxmans are friends,” Rulon said of the Village Market owners who still operate stores in Edwards, Telluride and Moab, Utah. John Buxman opened the Snowmass store in 1979, where it operated until last April when the contentious changeover took place. “I think the community will be quickly won back over,” Rulon said. Ward Colby of Aspen, who works in Snowmass Village, said he is going to wait to reserve judgement, given his experiences at two of the other stores in the family-owned chain. “I’ve kind of resigned myself to do the wait and see. I’ve shopped at Clark’s a little bit in Aspen and it’s always disappointing to me. The (now shuttered) Basalt store was a whole new level of disappointment. A lot of it is the prices and when you do look at the selection, it’s not as good as City Market,” he said. 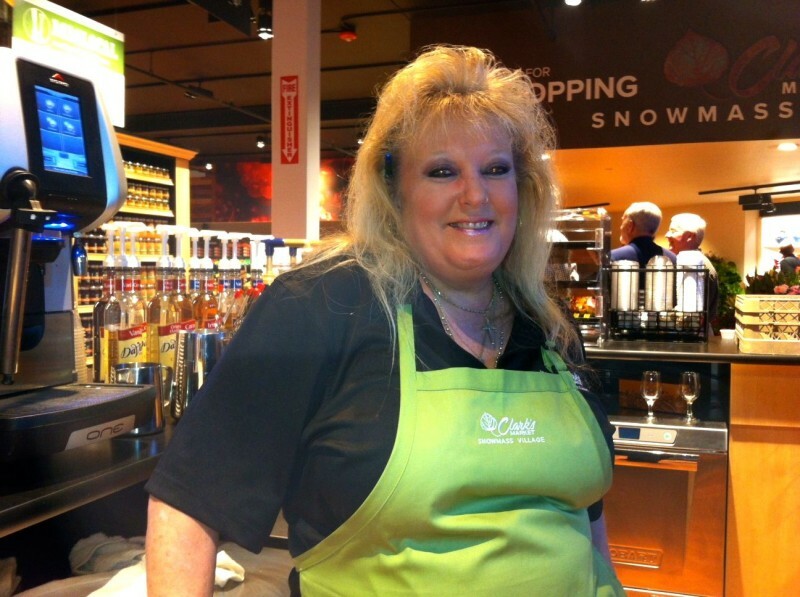 Teresa Kelly is one of the familiar faces that customers will see at the Clark's store in Snowmass Village. The daughter of a longtime Village Market employee, Kelly said locals seem happy to have a piece of their village back. Tom Clark Jr., a second generation grocer, said the Snowmass store “has the potential to outperform Aspen. We’re hoping this will be our number one store.” There are nine in the chain, including a mini-mart in Base Village. “I think when they look at the freshness, selection and pricing that we’ve put into this store, it just won’t make sense to waste at least an hour of driving,” he said. A good day of business here would see sales “in the five figures,” Clark added. Both Clark’s Market and the Village Market are owned by families in the Roaring Fork Valley. But when making comparisons, Clark preferred to use national chains as his touch stone. Clark said proceeds from this store will help support Challenge Aspen, the Snowmass Rodeo and the Snowmass Chapel. The Aspen store selects a nonprofit every week to support through its “cash savers” stamps program. In Colorado, there are 205 independent stores which are responsible for creating 6,430 jobs, the research said. The Snowmass Village store has 40-50 employees on the payroll and most shifts will use about 15 people, including Clark’s daughter Eloise. Early in the morning on opening day, local resident Marianne Faurer wheeled her cart around the handsome wood floors that contribute to an airy feeling. Eyeing the organic and artisan products, Faurer compared the new store to high-end markets in New York and Palm Beach. 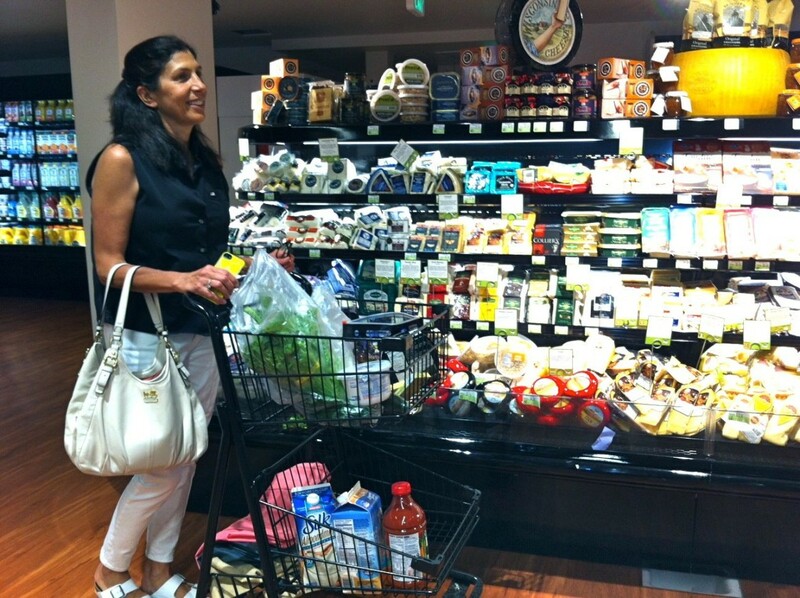 It makes shopping for a family of vegans (though husband Bruce “will eat anything”) so much easier, she said. Long-time resident Mary Beth Blake’s initial impression was “how big” the store seemed. In fact, it is about 4,000 square-feet larger than its predecessor because the expansion encroached into the Sundance Liquor & Gifts space. Editor’s note: Aspen Journalism collaborated on this story with the Aspen Daily News, which published it on Sunday, July 20, 2014.